Daylilies are the American favorite perennial for they are truly the hardiest and most versatile of all perennials. 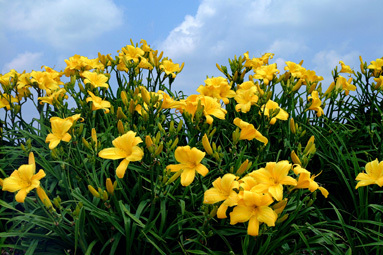 They are an amazing plant, available in a rainbow of colors, shapes, sizes, and varieties that can be easily grown anywhere in the U.S.
Want the best daylily? Want the prettiest daylily? Want the longest blooming? Want mega sized blooms, or fragrant blooms? These requests are made over and over by gardeners. As you know, “beauty is in the eye of the beholder” and “the best” depends on your needs and garden application. But our years of experience have equipped us to guide you to the correct answers for you and your needs/preferences. Let us help. Many gardeners know that daylilies have come a long way since the days of the old orange and yellow species daylilies, and our customers have learned they can expect a lot more when they receive daylily plants from American Daylily & Perennials. We have not only grown and tested thousands of dependable daylilies for almost 40 years, but Jack has developed superior new daylily varieties due to his daylily breeding (link to article about breeding) program that is based on his specific goals and high standards. The daylily gardens of America have been rewarded from Jack’s dedication to our daylily breeding program and an ultimate “highlight” for him was when one of his hybrids, “Black Eyed Stella” won the title of being the first “All American” Daylily in 1994. Among Award Winning daylilies, the All American title stands alone because the varieties have shown “Scientifically proven superior performance Nationwide” based on a rigorous test program methodology. Since the announcement of Black Eyed Stella as the first All-American Daylily winner in 1994, the All-American Daylily Selection Council has named nineteen additional All-American winners. Among these varieties are two additional winners from Jack’s breeding: Lady Elizabeth, and Miss Mary Mary. Lady Elizabeth is the best near-white daylily we’ve grown in 35 years and Miss Mary Mary (like it’s parent plant Stella de Oro) is one of the very best reblooming daylilies of all time. 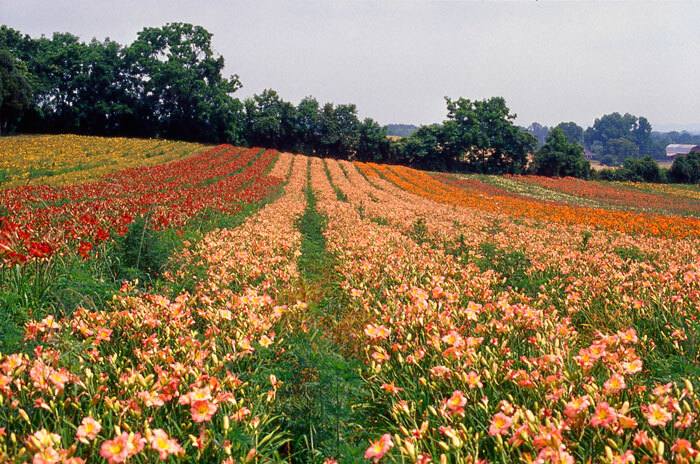 We ship freshly dug, bare root daylilies to you from our acres and acres of daylily fields; and all our retail orders are unconditionally guaranteed. 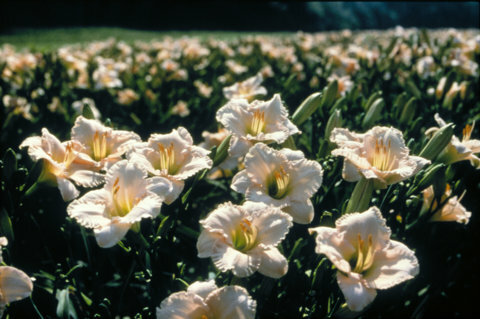 Product freshness is guaranteed because the nursery grows all of the daylilies it ships, including its own hybrids plus top-quality cultivars from sources around the country. 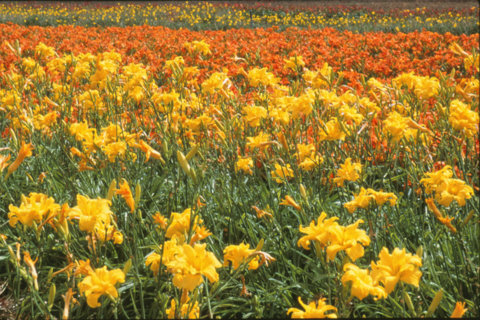 Let us help you select the best daylilies for your personal preferences, landscape application, and geographic area. Or simply take advantage of our helpful search tool and browse to your hearts content. Refer to the USDA Zone Map to find your zone, and check out our Growing Guide for planting and caring for your daylilies.